No need for a catchy title folks, this self-titled album is hands-down, top of my list right now. This band is Kings of Leon before everyone knew what the heck KOL stood for. This band is loud rock and roll with a passionate male lead vocalist that has the restraint to pull off an emo song like “Next To Me”. In other awesome news: they are GREAT live, and sound totally consistent with the album, which is quite the feat when you have to compete with the mad scientists in Japan who are now manufacturing actual singing, dancing robotic pop-star proto-types. It’s a scary world we live in folks. Check them out live this Saturday night @ Irving Plaza… can’t make it? I’m hearing they may be back in NYC this December – I’ll keep you posted! 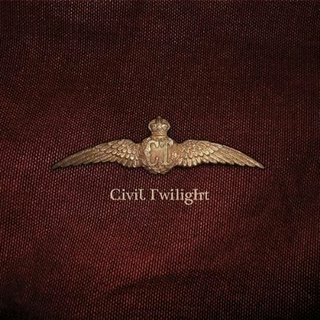 Remember: Civil Twilight, go get your hands on this album, it’s awesome – I’m vouching – final answer. ← On My Ballot? Zen Palate!